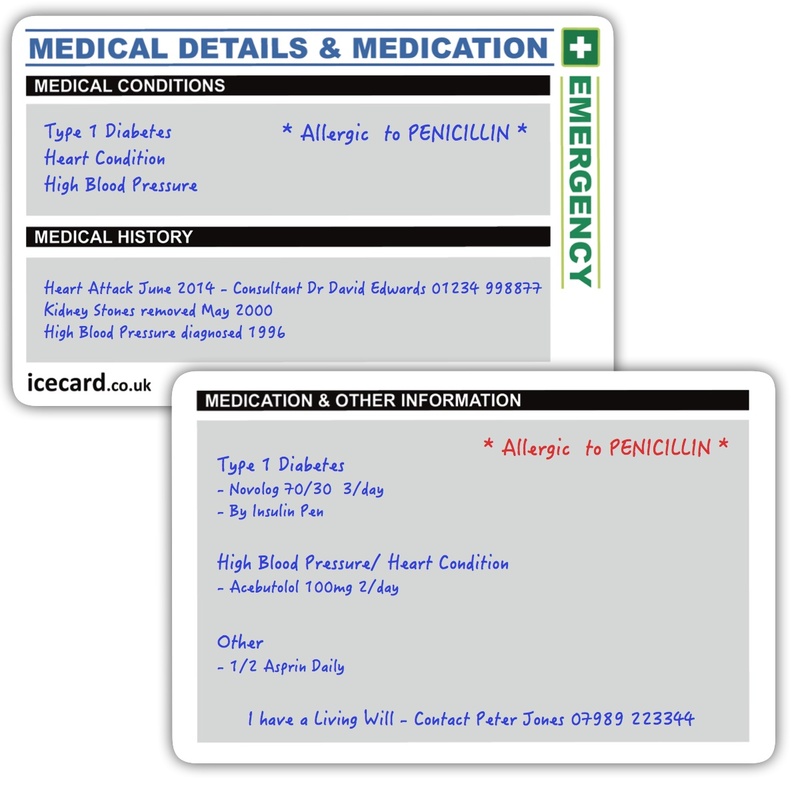 Our Add-On Card is available as an optional extra with this product. It has a two large write-on panels on the front of the card and a single large write-on panel on the reverse. This is good as it helps to let folk know when your taken ill when out .who you are .who to contact and your symptons and medician .brilliant for my cousin . Just what I wanted, quick to order, quick to arrive and excellent service all round. Good idea, simple to use, needs more space (rather than suplimentry page) for complex conditions and many medicines, otherwise 5 stars. A simple and effective way to safeguard your health in an emergency.